Amazon announced its latest tablet device today, the Fire HD 8. Apparently built from the ground up for all-day entertainment, the Fire HD 8 comes with an 8-inch HD display, quad-core processor, 1.5GB of RAM, 12 hours of battery life (4,750 mAh), plus access to Alexa, Amazon’s cloud-based assistant. Specifically, support for Alexa is not available quite yet, but will be made available via an upcoming software update. According to Amazon, the update should come in a few months. Other devices will get access to Alexa, too, including the Fire HD 10, Fire and last year’s Fire HD 8 tablets. When Alexa is made available, users can simply speak to Alexa for opening apps, reading books, and much more. Amazon claims that Alexa features will continually improve on the tablet, given its cloud-based nature. On the software side, Amazon touts the device’s access to Family Library, X-Ray, Second Screen, Amazon Underground, plus access to all of Amazon’s exclusive content such as award-winning TV shows. However, do note that this tablet will not have access to Google Play. 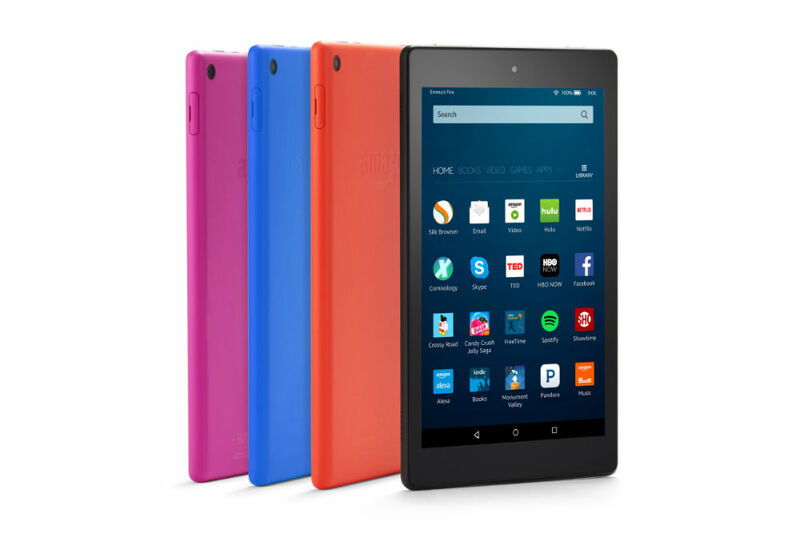 The Fire HD 8 is available in four colors, black, magenta, blue and tangerine, priced at $89.99. Release is scheduled for September 21, but pre-orders for the tablet are up right now on Amazon.